Posted by Jon in News on Saturday 13/11/2010 19:26 UTC. At this time of year the small and sick hedgehogs start to come in to us on an almost daily basis, many hogs that are too small to hibernate through the winter. 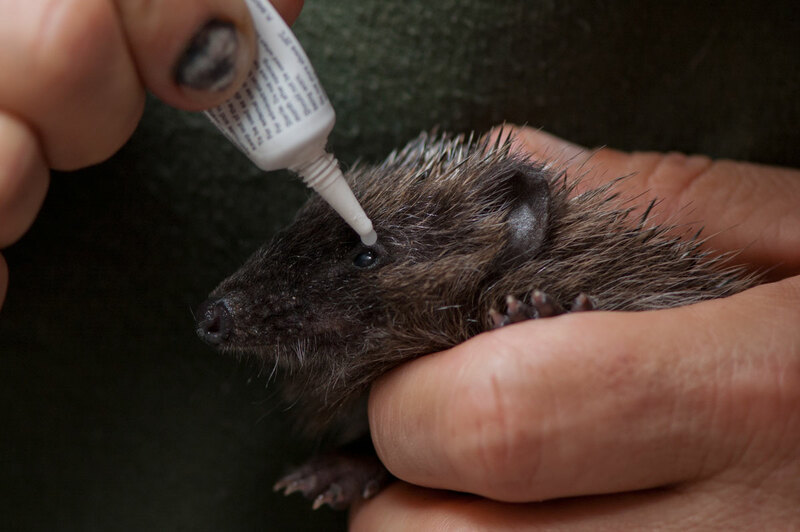 Hedgehogs can have two litters a year, the second litter have only a short period to eat loads of slugs, snails and beetles to get to their desired weight of 600g to survive hibernation. If you see a hedgehog out during the day or one that is less than 600g, it needs help. Please put it in a cardboard box with shredded newspaper, feed it chicken or turkey based cat or dog food with added water. NEVER feed bread or milk. Keep the hog warm and quiet and get it to your nearest rescue centre. We take in lots of hogs that have to be kept warm, cleaned out and fed everyday, to prepare them for release in the spring. When they are with us we treat them for a variety of ailments, we have the lovely job of inspecting their pooh with a microscope, looking for parasites such as worms and fluke which if not treated early, will be fatal. WE NOW HAVE A COLLECTION POINT FOR THOSE OF YOU WHO WANT TO DONATE FOOD TO THE HEDGEHOGS WE CARE FOR. THE NICE PEOPLE AT BRINSLEY CORNER SHOP ON MOOR ROAD NOW HAVE A COLLECTION BOX FOR FOOD. YOU CAN EVEN BUY SUITABLE HOG FOOD IN THE SHOP FOR US AND PUT IT STRAIGHT IN THE BOX.